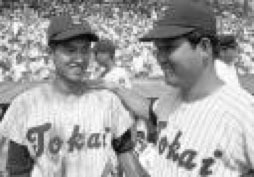 Mitsugu Hara, the father of Yomiuri Giants skipper Tatsunori Hara who was also his high school and college coach, has died, The Yomiuri Giants said Saturday. He was 79. The elder Hara, who won national high school tournaments at Koshien in two different high schools, was hospitalized May 4 after suffering from cardiac infarction and dissecting aortic aneurysm. He passed away Thursday night, according to the Giants. Hara won his first Koshien title at Miike Technical High School in Fukuoka Prefecture during the summer of 1965, and his second title at Tokai University Sagami High School in Kanagama Prefecture the summer of 1970. Hara also made headlines by coaching his son, Tatsunori, at Tokaidai Sagami and Tokai University. His grandson, Tomoyuki Sugano, is currently a pitcher with the Giants.